I will be honest, It took me a very long time to see Taxi Driver. It is not that the film was unavailable to me, or that I was unaware of it. The problem was that I was very settled with the sorts of movies I enjoyed, I thought I only enjoyed old Hollywood classics or human dramas, anything with a slight mention of violence or action would turn me off. So for a very long time I put off seeing Taxi Driver – this was the biggest misjudgement I have made in all my life when it comes to films. When I finally did see Taxi Driver it changed my opinion of cinema and left me feeling very silly for thinking that I could pre-guess what I liked before I had seen it. I had sat down thinking I would get nothing out of the film, however after it had ended I was blown away. Taxi Driver is a highly regarded film but I knew in that moment that this film will never be regarded highly enough. 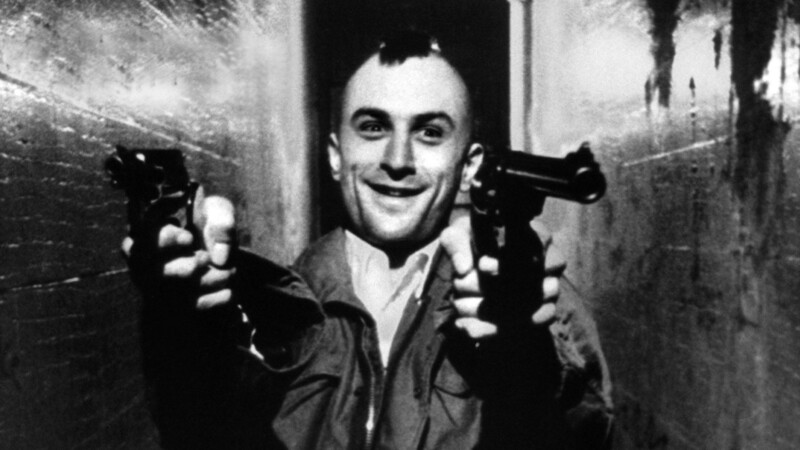 The films main character Travis Bickle (Robert De Nero) is a truly fascinating human. On one hand it is feasible to see him as a possible saint, someone who wants the world to be a better place, someone who wishes to fight and strike out against evil. On the other hand one could see him as the most messed up of all humans. To me, neither is true. He is in fact in the same mindset as all other humans in the film, but is way past the psychological stage which lets them deal with the faults of humanity in humane ways. In a way, Travis is just an extreme version of all of us. He has more anger to want to clean the streets of evil. However, there is a good and evil way to go about this, but in the end Travis chooses the latter. This sees him kill several evil people in the name of something good – but what’s to say that in doing this Travis has not become an evil force himself? 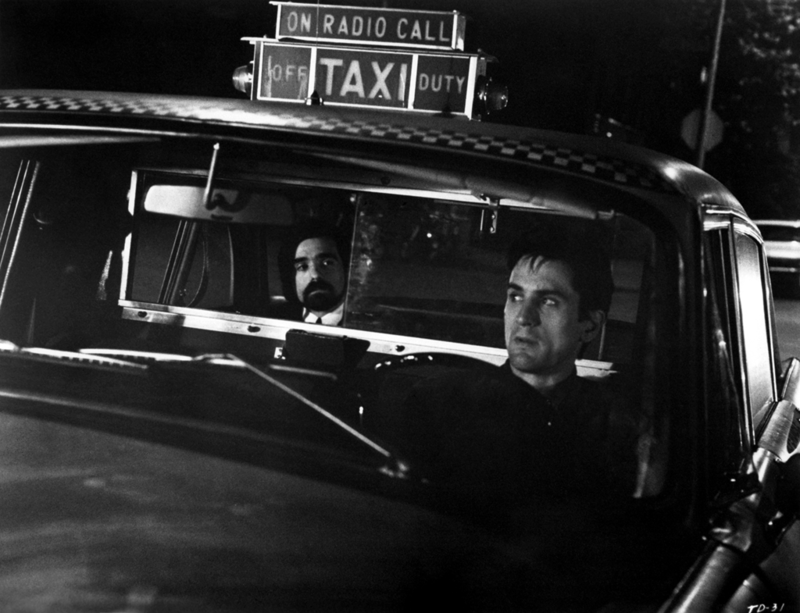 Taxi Driver is a brilliant visual treat as many of Scorsese’s other films are. Its imagery ranks beside the most iconic in the history of cinema. The films editing leaves you on your toes at every scene, not for one moment is there even a hint that pace will slow or that the style will steer off course. Yes, the film is very violent at times, while this is horrific, it does evoke a very strange reaction in me. Questioning whether this violence is necessary to beat evil, or if by becoming violent one only adds to evil in the world. This is such a hard moral question but is one that Taxi Driver presents very well. 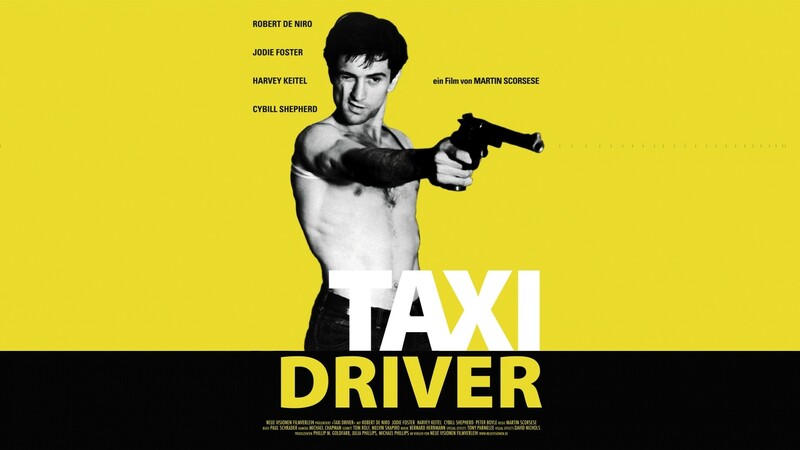 One of my favourite things about Taxi Driver is its main theme by Bernard Herrmann. This was Herrmann’s last big score before his death in 1975. The music works extremely well with Scorsese’s gloomy imagery of night time New York and submerses the audience very deep into the mind-set of Travis Bickle, which at times is a very scary place to be. Taxi Driver is an in-depth character study of good and evil, how they work with and without each other and how they can both lead to disastrous consequences. Taxi Driver is a must see film. Ah, Martin Scorsese, one of my favourite directors! This film is in my son’s top ten. A classic although I could only watch it once. Great job by all involved. Thanks for your review. I put off seeing the film for far too long. When I finally did see it I felt so silly for doing so. It is great. Thank you for liking a post .Thank you for stopping bye and have a nice day ..